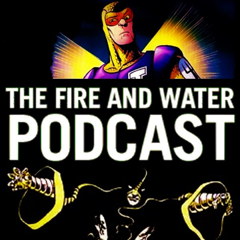 Just in time for the special 150th episode of THE FIRE AND WATER PODCAST, frequent guests and Nuclear Subs DIABOLU FRANK and RYAN DALY have kidnapped Shag and I and taken over the show! The episode starts with discussions on The Human Flying Fish and Slipknot, and goes downhill from there. Thanks for listening! Fan the Flame and Ride the Wave, and send out a search party!